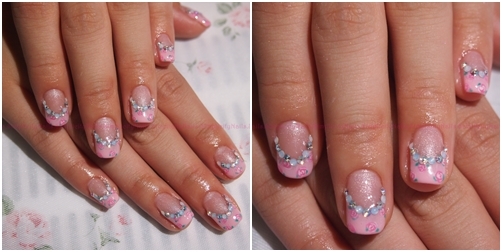 This is done on 1 of the bride that had her photoshoot done in Taiwan! (I wanted to get my wedding shoot done there too but couldnt as I had to rush thru my plannings :/) She wanted sth simple yet eye catching, So we did the ever famous florals and added white and rainbow blings !! Such a demure set. 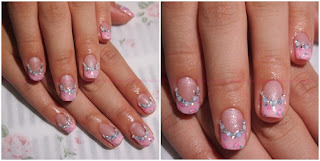 Perfect for brides that doesnt want to have too fancy nails.